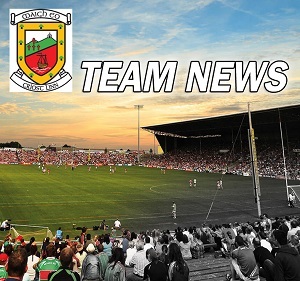 Mayo face old rivals Galway this Sunday in Pearse Stadium as they look to a book a place in the Connacht final on July 9th. Having seen off Sligo in the quarter finals by 9 points the Mayo team shows just one change from that win with Jason Doherty replacing Conor O'Shea(injured). Interestingly this Sunday will be Andy Moran's 150th appearance in a Mayo jersey. He made is championship debut in New York in 2004. Selectors: Donie Buckley, Peter Burke & Tony McEntee. Support the lads now & play our Players Welfare Lotto, the JACKPOT is €14,200. 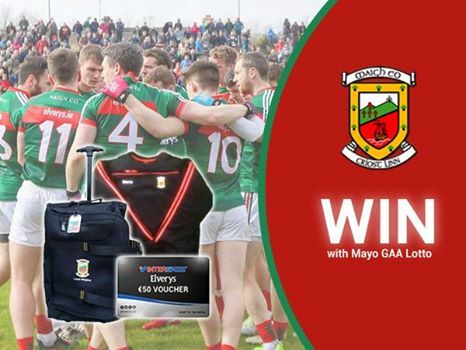 €50 Elverys voucher & Mayo merchandise.